How do I protect my publications and bookshelves on FlippingBook Cloud? There are two ways of content protection which FlippingBook Publisher provides you with. The first one is to disable such features as Download and Share. The second one will be available for you if you create your publications with FlippingBook Publisher Business edition and keep them on Cloud. This option allows you to not only protect all the versions of your publications, but also manage the subscriptions. Generic password: You can protect publications with a generic password. When a visitor opens the link to your publication, they will have to enter the password first. Everyone who knows the password can open the publication. This is useful when sharing a confidential publication to a trusted community. Individual passwords: You can create separate usernames for all your users. The software will generate a password for each user and send it to their email automatically (there is also a password recovery function so you don’t have to deal with password resets manually). This option offers a higher level of security but also requires more effort to maintain. Very important! Password protection features are only available in the Business Edition of FlippingBook Publisher. 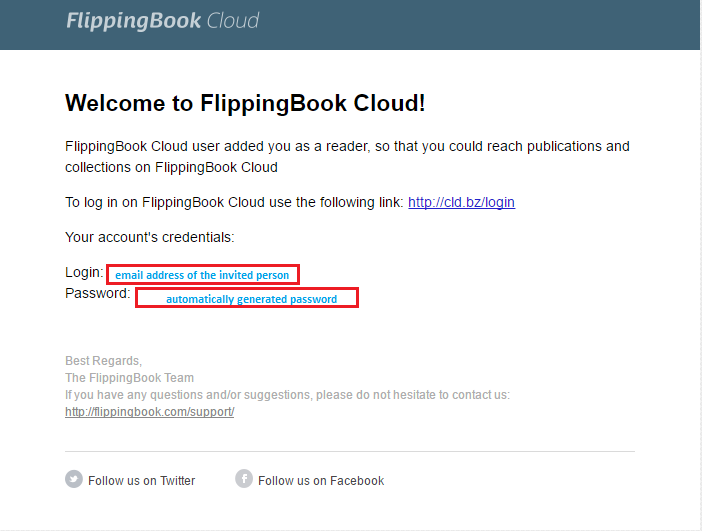 Individual and generic passwords are only available for publications that are hosted on FlippingBook Cloud. You can protect your publications with a generic password. When a visitor opens the link to your publication, he will have to enter the password first. 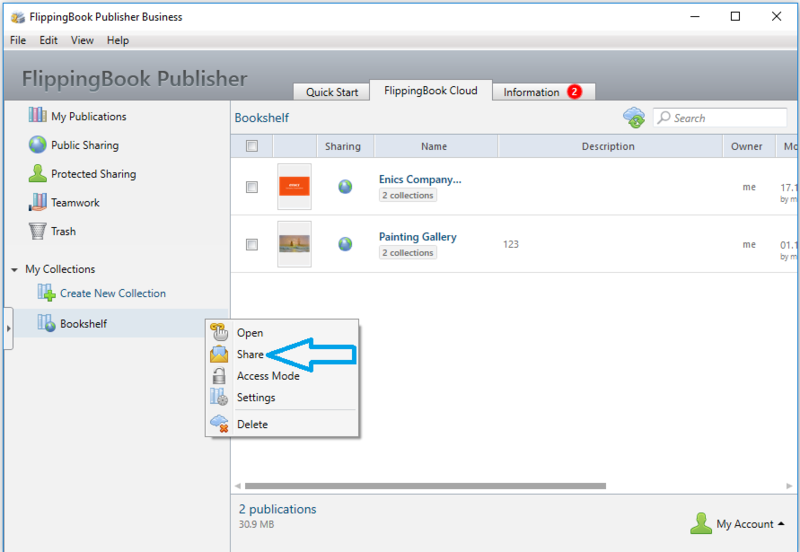 Upload your publication to FlippingBook Cloud. Click on the FlippingBook Cloud button and select your publication. Right click and select Access Mode from the pop-up menu. Select Password protected and type the password. You can also create separate usernames for all your users. The software will generate a password for each user and send it to their email automatically. To view your publication, your users will have to log in with their credentials first. Click on the FlippingBook Cloud button in the menu bar. This brings up the FlippingBook Cloud Manager. Right click on your publication and select Access Mode from the pop-up window. Select the option Private and press on the Save button. 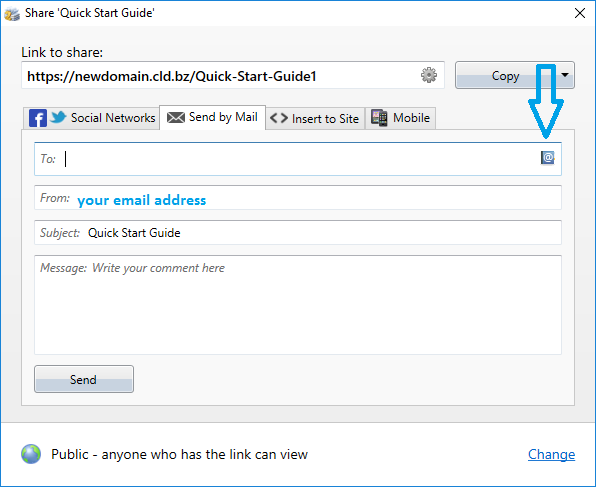 Right click on your publication again and select Share from the popup window. Click on the Invite Readers tab. In this tab you can write a message to the people that you want to give access rights to your publication. Type the email addresses of your recipients (It is also possible to do a bulk import), change the from address to your own email if required, and change the subject and message text. Very important! The number of readers that you invite is limited to 50 per email per day. The total number of emails that can be send per day is limited to 500. Users that have never been invited before to a private publication will receive an email with login credentials, from FlippingBook (noreply@cld.bz). Everyone that you included in the ‘To:’ field will get an email from you with the text that you typed and a link to the publication that you shared with them. All the invited users can now open the link in your email to your publication and will have to log in with the provided credentials. It is possible to invite readers in bulk. 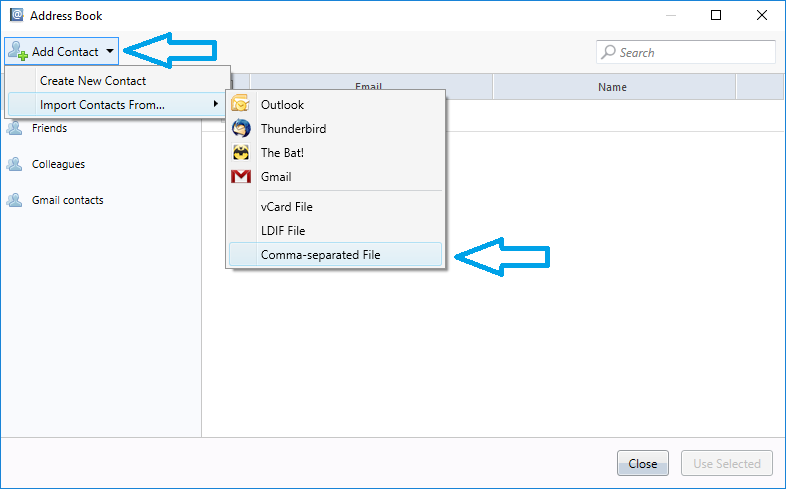 You can import list of contacts from popular mail programs into FlippingBook PUblisher (from Outlook, Thunderbird, Bat and Gmail or as vCard, LDIF or comma separated file). You will have to prepare the file to be imported beforehand, either by exporting it from a program that already contains the names and email addresses, or by preparing a comma-separated file (CSV) manually in a program like Excel. After you have opened the Invite Readers tab, click on the Address Book icon which open the Address Book. Select the format of your input file from the pop-up menu. Select your file and press Open. Your contacts will now be imported in your Address Book. You can now invite them to your shared publication by selecting them one-by-one or selecting them all at once. After that, choose your Excel-file like and it will be imported. Right click on your publication and select Share from the popup window. Click on the Manage Readers tab. Click on the check box before the User name of the user(s) that you want to stop having access to your publication. Press on the Revoke Access button. The possibility to make publication private can be also applied to a collection of publications created with FlippingBook Publisher Business and hosted on FlippingBook Cloud. Important! You can use this feature to make entire collection of your publications available to certain users on subscription basis. 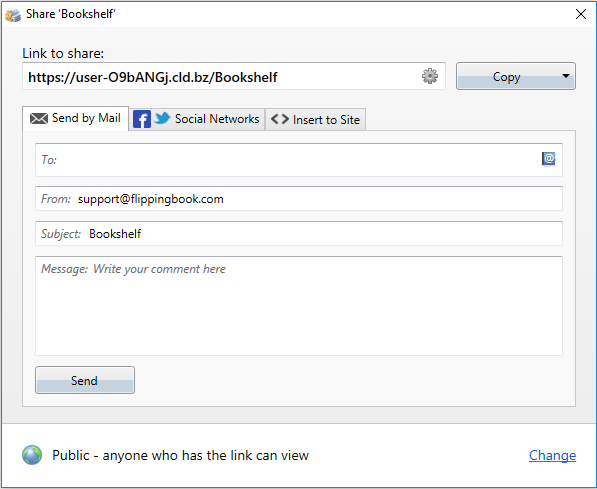 Once collection is made private, you can invite and manage readers in the same way as it is done for publication, using email client provided by FlippingBook Cloud.